If you have severe palmar hyperhidrosis, or what the layperson deems as excessive hand sweating, or sweaty palms, you would deeply understand the exasperation and frustrations that comes with it. Shaking hands with strangers, which is a basic courtesy would pose as a great challenge to you. And if you handle it badly, you would be giving the wrong signals to the other party as lack of confidence or that you do not like the other party. I know, as I too used to have severe sweaty palms. My palms drip sweat, my computer keyboard was perpetually smudged with sweat, and my notes were always limp with sweat. Yes, it was irksome to some, and normal people around us had to politely bear with our unusual and socially undesirable condition. Yes, it is about time you look out for treatment to stop sweaty palms for good. How Intense Is Your Hand Sweating? The social and functional discomfort could cause unnecessary long-term repercussion and sweaty palms sufferers need to seek a suitable hyperhidrosis treatment to stop hand sweating. The first stop is not the clinic but rather your lap top. You need to do extensive research to find out firstly what level of intensity is your condition and understand the type of treatment available in the market currently. There are mild cases and there are extremely severe cases of palmar hyperhidrosis. If you have mild hand sweat, you are lucky as the medicated creams, common deodorant, biofeedback, oral medication would help you resolve your problem. However, if you have more severe condition, you will find Botox, ETS surgery and Iontophoresis to be more relevant to your solution. Understand the possible side effects of these treatment to be mentally prepared should you need to undergo the treatment. Botox gives a temporary numbness to your palms due to the numerous injections and botox is not a long-term solution as you need to repeat a session every three to six months at the clinic. Although ETS surgery gives immediate relief, about 90 percent of the patients develop compensatory sweating on their torso, face, feet underarms or groin. 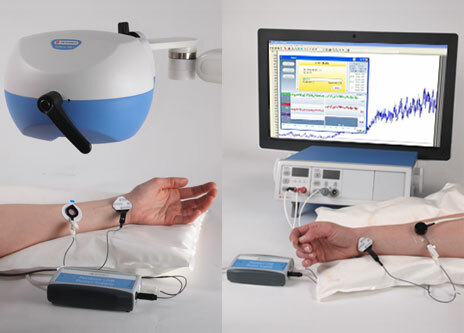 So far, Iontophoresis is a tested and proven non-surgical, noninvasive procedure with no side effects. This is the procedure I underwent to stop sweaty palms. iontocureIontophoresis is using Hatena Blog. Would you like to try it too?